There are kids in pain right now. We are here to help those kids. 1436 S. La Cienega Blvd. 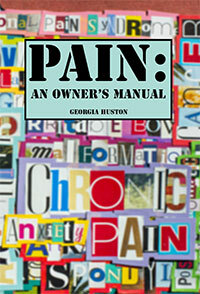 Teen Pain Help Foundation was created by me, Georgia Huston, a seventeen-year-old girl who struggled with chronic pain. My biggest frustration with chronic pain was not understanding what was going on in my own body and not being in charge of my own life. I still have my ups and downs but thanks to Dr. Lonnie Zeltzer and her team, I have my life back. Thanks to the devoted members of Whole Child LA, all my questions have been answered and all my dreams seem possible -- which is why I have chosen to raise funds for the Whole Child Foundation. Together we will instill in children the tools and support they need to live "normal" lives. 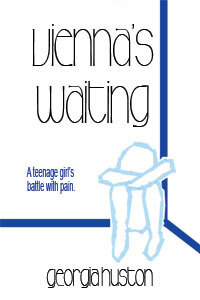 In addition, Vienna's Waiting, the first-person chronicle of my journey through chronic pain is available. CLICK HERE FOR DETAILS . All proceeds go to Teen Pain Help Foundation, to help kids suffering chronic pain. My latest book tells the truth about pain from many points of view through insightful conversations with pain victims and specialists. They share their trials, their tools, and their successes, offering suggestions, inspiration, and hope -- one pain sufferer to another. CLICK HERE FOR DETAILS. Teen Pain Help Foundation -- a 501(c)3 charitable corporation -- is designed to help children and teenagers with chronic pain by raising funds for treatment, research, education, and increased public awareness. Together we can help children and families going through chronic pain conquer it, and live the happy, healthy lives they deserve. Every parent and family deserve peace of mind, every child deserves comfort, and every person deserves health. Our goal is to reinforce self-awareness, independence, and joy back into these kids' lives. With your help we can provide answers and guidance for those who feel helpless. Our first project is raising money for Whole Child LA, which we know to be an excellent provider of help for kids suffering from chronic pain. Currently there are several projects aimed at that goal. Also, listen to Georgia's earlier NPR interviews, broadcast on KRTS (Marfa Public Radio) Tuesday October 11 at 10:00 a.m. & 6:00 p.m., CST. 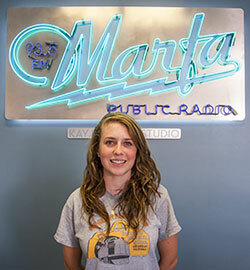 A second NPR interview, where Georgia was joined by her sister Veronica, was broadcast on KRTS (Marfa Public Radio) Tuesday July 26 at 10:00 a.m. & 6:00 p.m., CST. 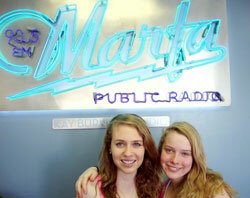 Georgia was also interviewed by Coach Marla on blogtalkradio.com and that is available by CLICKING HERE.